Samarkand is old. Very old. As in, it is so old it could be featured in an episode of Doctor Who or in an Indiana Jones movie. This city, for many people, is the Silk Road. The minarets, the colorful tilework that decorates everything, the tombs of powerful and merciless emperors, bustling bazaars, monumental mosques and madrassahs, all of it combines to make this city a living and breathing part of history. 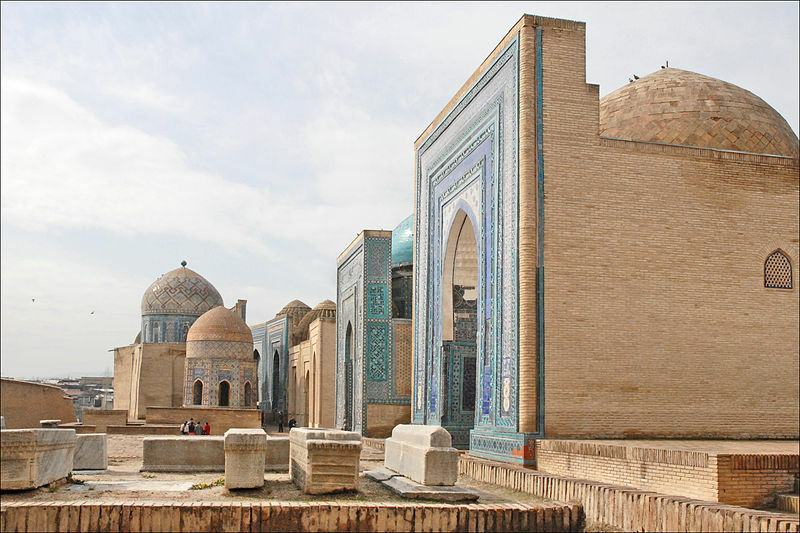 It’s no wonder that Samarkand is a UNESCO World Heritage site, and when you arrive, plan on staying at least two or three days to soak up the beautiful history of the area. You’ll soon come to see why Samarkand has near mythical status among the poets, writers, and historians in both the East and the West. And, if that isn’t enough for you, there’s also one other fact about Samarkand that I think you’ll enjoy: not many people come here. Less than 2 million people visited Uzbekistan during the whole of 2013. And that was considered a boom year for tourism. Meanwhile, almost 27 million people visited Thailand during that same year. See the difference? It’s exciting to think about the monuments and everything there is to see and do here in Samarkand. 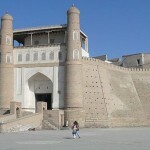 This is the city of Timur, the mighty conqueror whose armies killed more than 17 million people; this is the city of the Afrasiyab, a 3,000 year old ruin; this is the city of the Shah-i Zindah, a giant 1,200 year old necropolis. So hold on to your butts, it’s time to dive in to the mythical city of Samarkand. 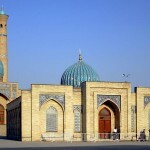 The Registan: This majestic plaza is enclosed by three stunning madrassah’s: the Ulug Beg Madrassah, the Tilya-Kori Madrassah, and the Sherdor Madrassah . It is the beautiful heart of the city, and quite likely the sight to see in Central Asia. Just east of the Tilya-Kori Madrassah is the Mausoleum of the Shaybanids, who conquered the city from the Timurid dynasty in the 16th century. When you come here, be prepared to have your breath taken away. Gur-e Amir Mausoleum: Buried here is one of the greatest conquerors the world has ever known: Timur. The name Gur-e Amir translates to “Tomb of the King” in English, and this mausoleum houses not only Timur, but his sons and grandsons. Timur’s remains have been disturbed twice in their history: once in 1740, when Nadir Shah was attempting to move the remains of his idol (though work on that stopped once the tombstone began to crack), and the tomb was finally opened on June 22nd, 1941 by a Soviet Archaeologist. Carved into the grave were the worlds “When I am alive, the world will tremble“. On that very same date, Nazi Germany launched Operation Barbarossa – an all-out invasion of the Soviet Union. Shah-i Zinda: Though the name means “The Living King” in Persian, the Shah-i Zinda is in fact a city of the dead. This necropolis is comprised of more than 20 buildings, some of which date back to the 9th century. Adding to it’s mystique, legend has it that one of the cousin’s of the Prophet Muhammad was buried here in the 7th century – after being beheaded by the local populace for trying to spread Islam. The Afrasiyab and the Tomb of the Old Testament Prophet Daniel: The Afrasiyab is the original settlement that later became Samarkand, with some of it’s ruinous buildings dating back to the 6th century BC. 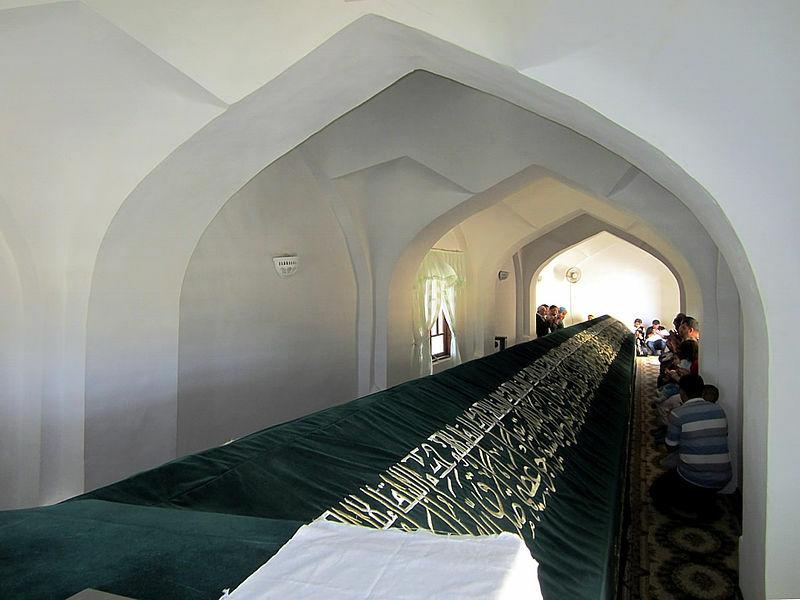 Additionally, in the cemetery section of the Afrasiyab, is the Tomb of the Prophet Daniel. Yep, the Old Testament Prophet Daniel is supposedly buried here in a gigantic 36 meter long sarcophagus. The sarcophagus is so huge because his body supposedly grows a half inch ever year. Daniel really liked his Wheaties, apparently. Samarkand has regular train connections to Tashkent and other cities within Uzbekistan. There’s also regular bus service and taxi service. Not to mention the airport, which has regular domestic flights throughout Uzbekistan. There’s literally no excuse not to come here. None. If you’re heading east, it’s the bustling big city of Tashkent. If you’re heading west, it’s the city-museum of Bukhara. Uzbekistand Airways operates several domestic and international flights from Samarkand International Airport. Destinations include: Moscow, Kazan, St. Petersburg, and Tashkent. There are daily trains from/to Tashkent, and it takes about 4 hours between cities. Trains also run to/from Bukhara, and connections take about 6 hours. There are international routes as well between Samarkand and St. Petersburg (which takes about 90 hours), connecting via Volgograd (in Russia, about 60 hours away). There is also a weekly train between Samarkand and Almaty, Kazakhstan. 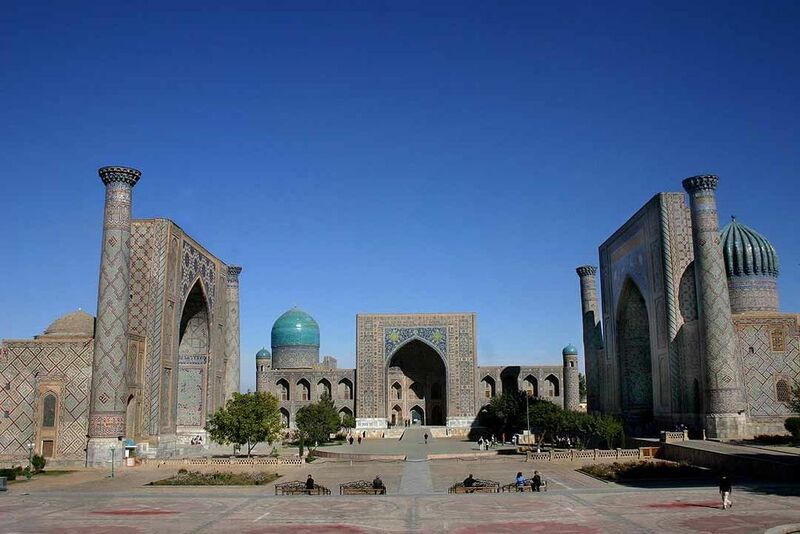 The Registan is the heart of the city of Samarkand, and is framed by three famed madrassahs: the Sherdor Madrassah, the Ulug Beg Madrassah, and the Tilya-Kori Madrassah. Additionally, located just off the Tilya-Kori Madrassah, is the Mausoleum of the Shaybanids. The Shaybanids conquered Samarkand from the remnats of the Timurid dynasty in 1500, and later went on to grab a large swath of territory in Central Asia. It is at the Registan that people would gather to hear royal proclamations and witness public executions. It was, in many ways, a central point of royal power. The Ulugh Beg Madrasah was built during the time of Timur and has an imposing iwan with a lancet-arch pishtaq facing the Registan square. The corners are flanked by high minarets and geometrically stylized ornaments form a mosaic over the entrance. The square interior courtyard includes a mosque, lecture rooms, and dormitory cells for students. The Madrassah was one of the most esteemed universities of the Islamic Orient in the 15h century. During Ulug Beg's reign, the madrassah was also a center of secular science. Constructed from 1619-1636 under orders of Yalangtush Bakhodur, the name translates as "Madrassah with Lions". Mosaics of large cats decorate the face of the madrassah. Architecturally, the Sherdor Madrassah is very similar to the Ulug Beg Madrassah, with similar shape and layout. Also constructed under the orders of Yalangtush Bakhadur, the Tilya-Kori Madrassah was started in 1646 and completed in 1660. The name means "Gilded" or "Decorated with gold". The Tilya-Kori Madrassah functioned not only as a residential college for students, but also played the role of grand masjid. It has a two-storied main facade and a vast courtyard fringed by dormitory cells, with four galleries along the axes. The mosque is situated in the western part of the courtyard and the structure is abundantly gilded. Gur-e Amir means "Tomb of the King" in Persian, and this complex houses the remains of Central Asia's greatest conqueror, Timurlane. Also housed here are the remains of his sons, Shah Rukh and Miran Shah, along with grandsons Ulugh Beg and Mohammad Sultan. Construction began on the mausoleum in 1403, after the sudden death of Timurlane's grandson, Mohammad Sultan. The architectural style served as the inspiration for later great Mughal tombs, notably the Taj Mahal. Meaning "The Living King" in Persian, the Shah-i Zinda is a necropolis in the northeastern part of Samarkand. Some of the ritual buildings date back to the 9th century, while much of the mausoleum complex was formed over the11th-19th centuries. Legend has it that the cousin of the Prophet Mohammad, Kusam ibn Abbas, who came to the region in the 7th century to spread Islam, was beheaded and buried here. There are more than 20 buildings that make of the whole of the mausoleum complex. Construction on the Bibi Khanym Mosque was completed sometime between 1399-1404, under the orders of Timurlane, after a successful raid on Delhi. The mosque is named after Timurlane's Chinese wife. At one point, it was one of the largest mosques in the Islamic World and it's minaret was the largest in the world. The cupola of the main chamber reaches a height of 40 metres, and the entranceway is 35 metres high.There is a gigantic marble Qur'an stand in the center of the courtyard. According to legend, there were more than 90 elephants employed to haul jewels for use in the construction of the mosque. 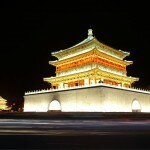 Over the centuries, it gradually fell into disrepair and completely collapsed during an earthquake in 1897. It was reconstructed during the 1970's, but still is badly in need of further TLC. The Afrasiyab is an ancient site that was occupied from the 6th century BC to the 1200's. 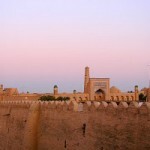 It is an excellent look back at ancient and medieval Samarkand. You are able to freely walk about the ruins, and, at the center, the Afrasiyab Museum contains exhibits further expounding on the history of Samarkand and the Afrasiyab. Also at the museum is the famous fresco of the Sogdian King Varkhouman receiving ranks of foreign dignitaries astride ranks of elephants, camels and horses. Located in the cemetery section of Afrasiyab, in the northeast, next to a stream, is the tomb of the Hebrew Prophet Daniel. The sarcophagus is a full 18 meters long, due to a legend that the body of Daniel grows about half an inch a year. 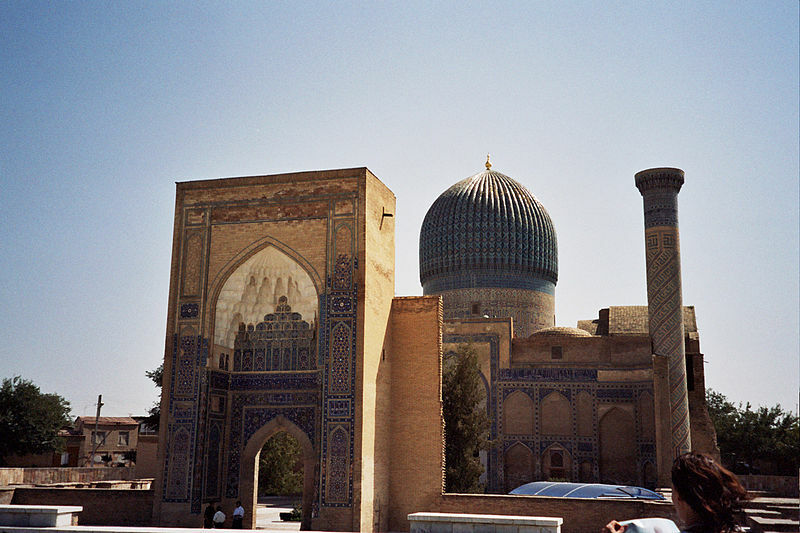 The grave was brought to Samarkand by Timurlane after the conquest of Syria. Ulugbek was not only a ruler, he was an astronomer as well. This represented one of the great archaeological finds of the 20th century. His 30m astrolab was part of a three stories tall observatory he had constructed in the 1420's. Nothing remains of the observatory, except for the astrolab's curved track, which was unearthed in 1908. There is an on-site museum containing miniatures of Ulugbek and his instruments. 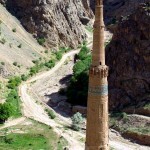 This mosque lies on a hill at the south end of the Afrasiyab ruins. It is one of the original edifces of Samarkand, having been constructed in the 8th century. 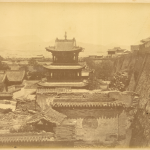 It was burned to the ground by Genghis Khan in the 13th century, and lay in ruins until 1854. It underwent further restoration work in the 1990s, paid for by a wealthy Bukharan, and is now one of the most beautiful mosques in the city. Constructed originally in the 15th Century, the Ishratkhana Mausoleum is now a pile of ruins. In the basement of this ruinous mausoleum is an eerie crypt. Visitors rarely come here, and you'll likely find only pigeons for company. If you're looking for a spot to film an amateur horror movie, this place fits the bill. The Ak-Saray is a tiny mausoleum, and overshadowed by the wall surrounding the Gur-e Amir complex. The mausoleum was recently restored in 2008, and features some beautiful tilework and frescoes. Located at 142 Oksaroi St, the Emir is a charming B&B located right in the shadow of the Gur-e Amir Mausoleum. They offer all the standard amenities, like free wi-fi, breakfast, 24 hour reception, however like many B&B's and hostels in Uzbekistan, they do not accept credit cards, so bring cash. Rates tend to be about $15-$20 a night. Click here to book at the Emir on Hostelworld.com. This 9 room B&B is located just a few minutes walk from the Registan. It's newer, with (at this time) only 6 reviews on Hostelworld, though all the reviews are positive. Rates run between $20-$30 per night. Click here to book the Jahongir B&B on Hostelworld.com. At less than 1/4 mile from the Registan, Furkat is great in terms of location. They offer the usual amenities, like breakfast, free wi-fi, laundry facilities, and, unlike some other lodgings, they also accept credit cards. Rates vary from about $15 for a basic 5 bed dorm, up to about $37 for a single private room. Click here for booking and more information on the Furkat Hotel at Hostelworld.com. The main, central, bazaar of Samarkand, the Siab bazaar is a fantastic place to wander and view the bustling market life of Samarkand. Wares of all kinds are for sale, from spices, produce, and the fantastic Central Asian bread, to clothing, soaps, and other daily items. Definitely well worth the stop. And don't forget to haggle.